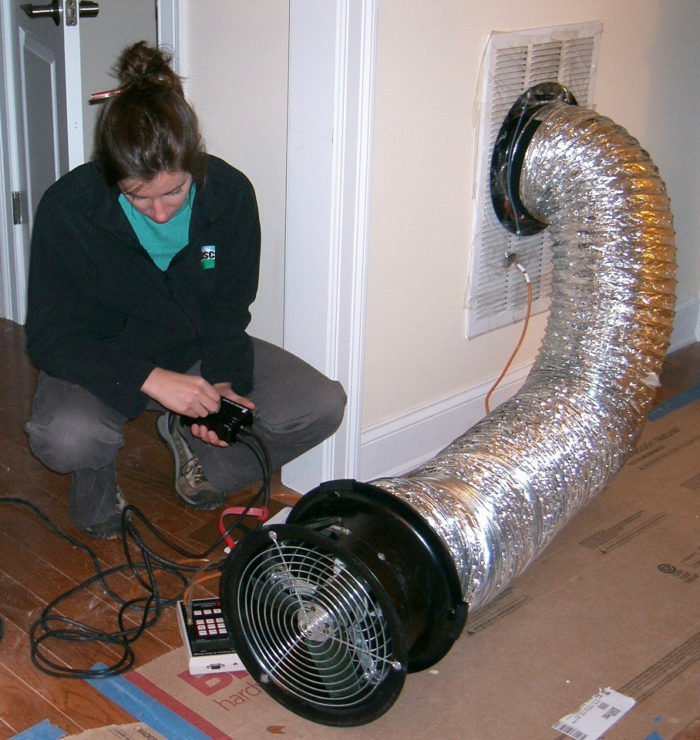 The best way to check the leakiness of a home's duct system is to test the ducts with a Duct Blaster. This test should be a routine step for any home with a forced-air heating or cooling system. Building a new home usually requires work by several subcontractors, including electricians, plumbers, and HVAC installers. At the end of the job, someone — usually the general contractor — has to verify that all of the specified work has been completed. Has the water heater been installed? Check. At this point, if everything looks good (including the drywall and kitchen cabinets, of course), some GCs might call it a day and say, “The punch list is complete.” But the job isn’t really finished until the house has been commissioned. Commissioning is the process of testing and adjusting installed equipment to be sure that it performs in accordance with the manufacturer’s specs and the designer’s intent. Commissioning also requires someone to verify that all of the building’s equipment and components interact well, so that one piece of equipment doesn’t cause unintended consequences. Here’s a simpler definition: commissioning is all about looking for things that aren’t right and fixing them. The aim is for the house to perform as intended. Some writers use the phrase “commissioning, testing, and balancing” to describe this process, but they are being unnecessarily wordy. The word “commissioning” covers all three acts. Unfortunately, most new homes are never commissioned — because the need for commissioning is not intuitive. After all, once all of the equipment is hooked up and plugged in, it should work — right? And if something didn’t work, the homeowners would notice the problem and give the builder a call — right? It’s not as if a problem would go unnoticed for months or years — right? I wish. 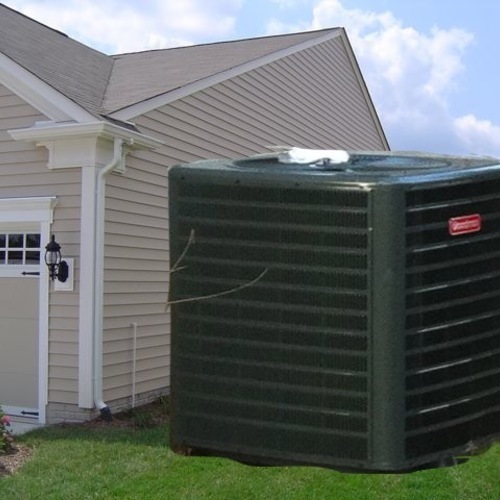 In many new homes, the duct system leaks; the airflow from the forced-air registers is less than specified; the ventilation system is blowing too much or too little air; the air conditioner’s refrigerant charge is too low; and the heat pump’s backup “strip heat” comes on unnecessarily. 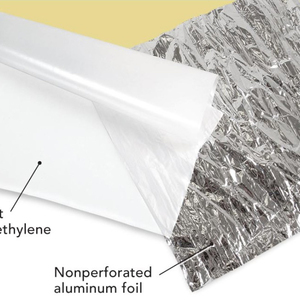 In other homes, exhaust ducts can be entirely blocked by a piece of cardboard intended to protect equipment during shipping, or an attic duct can be completely disconnected from the register boot. Do the homeowners notice these types of problems? Maybe — or maybe not. 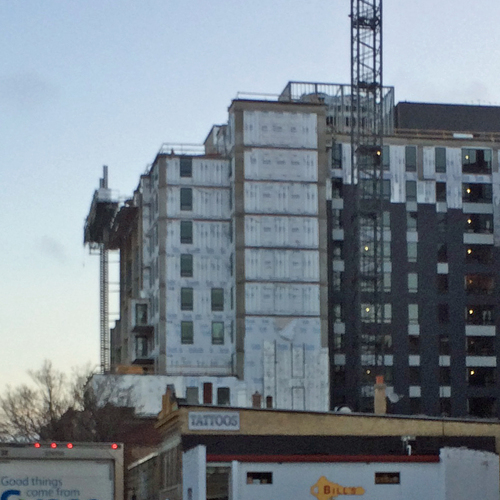 Even builders who have heard about commissioning often forget that, just like a duct system, a building’s thermal envelope needs to be commissioned. How do you commission a thermal envelope? You inspect the insulation; you conduct a blower-door test to check for air leakage; and you seal all of the leaks you can find. 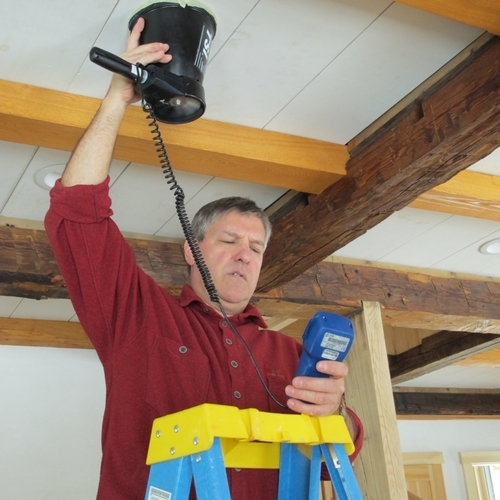 Trade contractors who assemble and install residential equipment are often poorly trained and poorly supervised. The materials used to assemble residential duct systems (unlike the materials used for plumbing systems) don’t come with leakproof joints. There is a longstanding tradition in some areas of the U.S. to route ductwork through unconditioned spaces. Many HVAC contractors are unfamiliar with residential ventilation systems. HVAC systems sometimes employ controls that aren’t integrated with installed equipment until programmed by the contractor or homeowner. Even contractors who understand their trade may not have been trained in “house as a system” thinking. The building envelope. 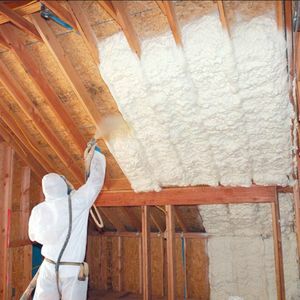 Visible insulation should be inspected to make sure the insulation is thick enough and that there are no insulation voids. The home’s air leakage rate should be measured with a blower door. If necessary, leaks should be sealed, using the “blower-door-directed air sealing” approach. Controls. In addition to verifying any ventilation controls, other HVAC controls need to be checked. These may include thermostat setback settings and (in some homes) solar thermal system controls or outdoor temperature reset controls for boilers. The water heater. Commissioning a water heater may be simple or complicated. If the home has a heat-pump water heater, it might be important to verify (a) that the room where the water heater is located meets minimum volume requirements; (b) that the appliance controls are at the appropriate settings (hybrid mode, heat-pump-only mode, or electric-resistance-only mode); (c) that the aquastat is set to the right temperature; and (d) that the condensate drain has been hooked up. Compared to these steps, commissioning an electric-resistance water heater will be simpler, while commissioning a solar hot water system will be much more complicated. verification that there is a return-air pathway (via a return-air duct, a jumper duct, or a transfer grille) from every room in the house that has a supply register. Combustion appliances. It’s important to perform combustion safety checks on all combustion appliances like furnaces and water heaters. All venting systems need to be inspected. If there are any atmospherically vented appliances, all of the exhaust fans in the house need to be turned on for a worst-case depressurization test. The air conditioner. If the house a central air conditioning, it’s important to verify the equipment’s refrigerant charge and the airflow rate across the cooling coil. According to the Quality Installation (QI) specification developed by the Air Conditioning Contractors of America (ACCA), airflow across the cooling coil should be within the range recommended by the equipment manufacturer and within 15% of the airflow specified by the system design. An increasing number of “above code” programs, including the Energy Star program, recognize the need for residential commissioning. Duct systems must be tested at 25 pascals to verify that the ducts leak no more than 6 cfm per 100 square feet of the home’s conditioned floor area, and that duct leakage to the outdoors is no more than 4 cfm per 100 square feet of the home’s conditioned floor area. The air flow of the supply duct system must be measured to verify that it is within 15% of the design air flow. The air flow at each supply register must be measured to verify that it is within 20% of the design air flow. By now, alert readers will notice a pattern: the systems that need careful commissioning tend to be systems that are field-assembled by local contractors using parts purchased from a variety of manufacturers. No one ever needs to commission a refrigerator, because it arrives from the factory as a packaged system. There’s a corollary to the above observation: the residential systems with the greatest opportunities for commissioning problems are ground-source heat pumps (GSHPs). These systems often require five or six different contractors to have a finger in the pie: the engineer who designed the system, the well driller or backhoe operator, the GSHP contractor, the plumber, the duct installer, and the manufacturer’s rep. Considering the opportunities for screw-ups, it’s remarkable that any of these systems work at all. The moral of story told by Sevier and McKown is clear: if you want to reduce commissioning headaches, specify factory-packaged systems instead of field-assembled systems. This reminds me a lot of the software industry, in which I work. Testing procedures and rigor are all over the map. I don't think it's a coincidence that the projects I've incorporated the most automated testing into happen to be the smoothest and least buggy ones. To build something as complex as a house or a piece of software and not systematically check for defects is simply asking for problems. Problems may go undiscovered for years, as you note. I'm a fan of the quote (source unknown), "something that is untested is broken". If commissioning is "testing and adjusting installed equipment to be sure that it performs in accordance with the manufacturer’s specs and the designer’s intent", is that distinct from verifying whether a design works in the first place? For example, suppose a new house is designed to use mini-splits for space heating. A distant bedroom is colder than ideal during most winter days, so the homeowner fixes the problem by adding electric resistance heat to the room. The mini-split as an appliance is working fine, it's just that its location, the geometry of the house, the house's envelope, and the designer's decision not to add any sort of supplementary heat didn't really work together, at least to the satisfaction to the homeowner. Is this a scenario where commissioning applies (and could/should have found a problem), or are problems that originate from faulty design a separate domain entirely (i.e. not correctly considering how all the parts of a house viewed as a system would interact together)? Another example may be an upstairs shower that takes forever to get hot water - not due to a fault of the methods of installing the plumbing, but a consequence of a poor design. You have suggested a scenario in which the designer made an error, and you wonder whether it is the responsibility of the commissioning agent (or the GC) to discover and correct the error. Determining whose responsibility it is to correct this kind of error is beside the point. It's fair to say that uncovering this type of error is not usually the job of the person commissioning the building. So the error may go unnoticed until the homeowner complains. That said, builders discover design errors all the time, and frequently rescue architects who are in over their heads. The first time I built an architect-designed house, the architect had drawn a plan for a house with a staircase that wouldn't work. There wasn't enough clearance overhead, and the homeowners would have banged their heads every time they went downstairs if I built it as drawn. So I brought the error to the attention of the architect, and suggested that we make the upstairs bathroom a little smaller than the way that it was shown on the plan, so that the stairs would be usable. Ideally, design errors are caught well before commissioning. Hm, I'm just trying to understand what commissioning is, when it is or is not necessary - and reconciling that with some of the examples in the article and with the assertion that "really, commissioning shouldn't exist". What puts something on the "needs to be commissioned" list, and what exempts something from it? As a specific example, I'm trying to figure out why are mini-splits are cited as a good example of something that is off the "needs to be commissioned list". In the above post, I was wondering if the fact that the things that can go wrong with a mini-split are primarily "house as a system" design flaws (failing to see how the heat/cooling from the mini-split interacts with the house as a system) keeps it off the list. "Commissioning also requires someone to verify that all of the building’s equipment and components interact well, so that one piece of equipment doesn’t cause unintended consequences." “A good commissioning process will first test individual components for defects and performance, then test each system, and finally look at system interactions and the performance of the house as a whole under all anticipated operating conditions." "No one ever needs to commission a refrigerator, because it arrives from the factory as a packaged system." - True, but then again, a refrigerator doesn't really interact with the house as a system in a significant way - it's only concerned a few cubic feet of stagnant air enclosed in a steel box at the right temperature. A mini-split is similar in that it's a packaged system - but deployed in a house, it's part of a larger system. Why doesn't that put it on the list of "things that need to be commissioned" too? I understand your point, and it's a fair one. As articles in GBA have pointed out, any designer who intends to heat and cool a house with one or two ductless minisplits needs to have a conversation with the clients to determine their expectations. If the clients expect the bedrooms to be within 2 degrees of the living room when the bedroom doors are closed, then that expectation needs to be part of the design process. Of course you are right that on some level, ductless minisplits need to be commissioned, in spite of Marc Rosenbaum's assertion to the contrary. But that type of "commissioning," if that's what we choose to call it, is far, far simpler than commissioning a conventional forced-air heating and cooling system. Even a refrigerator, I suppose, needs to be commissioned; it needs to be plugged in and tested to make sure it works. We are designing these homes.... hopefully..... for many generations ... not just "A Client"
There are arguments on both sides of this proposal (if, indeed, that is what you are proposing). I don't think that the answer to this issue is as clear as you imply. We should consider the comfort of generic occupants. We need to consider how "conditioned air" communicates with Occupied Rooms. Especially "Private Rooms" ... that are likely to have closed doors when Occupied. I get it. So what if a client says, "I love it when my bedroom is colder than the rest of the house during the winter. And I grew up without air conditioning; I sleep with the window open during the summer. I want to build a house with just one minisplit in the living room." Should such a house be legal or illegal? I agree. The only fly in the ointment is that humans have varying interpretations of "comfort." Most (perhaps even all) of the buyers of homes built by Carter Scott (two-story homes, each with two ductless minisplits) report that they are comfortable and happy with their homes. or else "comfort by luck"
I'm sure if Carter Scott builds comfortable houses with mini-splits, then a great deal of attention to design & testing went into it. The perspective may be a little different for a builder - once you have a design that is known to work (i.e. a floor plan and mini-split placement), then replicating that design for clients may work just fine without commissioning the ductless mini-splits at all. There's no more design risk, as that's been all tested & vetted in the field already**. The same plan using ducts may still need duct commissioning to verify that the duct system was field-assembled right. But for custom designs and especially retrofits involving a mini-split, you don't really know if the net effect on the house is what was intended, unless you measure it. ** Or perhaps not - given that the same design plans may perform differently given different house orientations, or deployed in a different climate. It's an interesting idea but I can't help but think back to the last spec project I did where the soft costs (professional fees, financing, permits, etc.) had increased until they represented almost a third of the budget. At the same time as we are being encouraged to make houses with more efficient and leaner structures, we are being asked to fund a whole new group of consultants to evaluate energy efficiency, compliance with various programmes under which the building is to be certified and now a Commissioner. It's a small step to us all having an ongoing contract to tune-up the building throughout its lifespan. Martin Holladay: Of course you are right that on some level, ductless minisplits need to be commissioned, in spite of Marc Rosenbaum's assertion to the contrary. But that type of "commissioning," if that's what we choose to call it, is far, far simpler than commissioning a conventional forced-air heating and cooling system. Back in the day designers designed in a vacuum without a lot of regard to build and field testing. Now we design to the build since it is where the majority of recurring cost is, including the OEMs. The R&D is short lived, and many of the models and drawing’s should be able to be modified fast for custom designs. A builder should understand the cost impacts from design changes and let clients know what that cost or delta to a spec is. Including changes that require Rater program additional verification's to cert. Commissioning or functional test is not knew to many industries and is part of the design process. The best part of design to build is consolidation or a reduction in the installation BOM. Assembly installation kits are more robust but, do not necessarily mean improved life cycle reliability and maintenance, especially if they themselves have large assembly BOMS or poor designs. Marc Rosenbaum's comment: I’m not sure where he is getting his data on minisplits being relatively new, that would be on the mfg data sheets in the form of cycle test of sorts. Martin Hollady: not sure how you think air, moisture, distributed flow is “far, far, far, simpler” to solve than a FA system. It can be more complex to solve low air flow issues without the provisions in place (ducts, open walls, etc) at the point of commissioning. As we build tighter IAQ is becoming more of concern. I’m going after ESTARS “Indoor Plus” cert. Not sure how yet, I’m thinking of buying a PPB meter and checking every product claim that comes into my build since there is no real regulation from the EPA. Finding out that I have to commission installed materials for toxic chems trapped in a tight house seems like a nightmare to me. ASHRAH 62.2 does not really account or set thresholds on manufactures nor does EPA, so here is a case where purchasing a manufacture assemble can potentially cause more harm than good. I'm not sure that I understand everything you've written, since it is abbreviation-heavy (OEM, BOM, FA, ESTARS, PPB). I'll comment on what you wrote: "[To] Martin Holladay: not sure how you think air, moisture, distributed flow is ‘far, far, far, simpler’ to solve than a FA [forced air] system. It can be more complex to solve low air flow issues without the provisions in place (ducts, open walls, etc) at the point of commissioning." I have never heard the word "provisions" used this way -- to mean both "ducts" and "open walls." If the ducts are not in place, why would anyone be commissioning a forced air system? They wouldn't. What do you mean when you imagine a scenario in which "open walls" are not in place? Is this a roundabout way of saying "after drywalling"? It seems like you are imagining two commissioning scenarios for a forced-air system: one, before the ducts are installed. I think that is too early to commission the system. The second scenario is after drywalling; it sounds like you are saying that it can be difficult to seal duct seams at that point. (You're right; it can.) Ideally, someone on the jobsite will notice if duct seams weren't sealed before drywalling begins. But often, that doesn't happen -- usually because it's the kind of jobsite where no one cares about this kind of detail. Lots of problems crop up at jobsites like that. In any case, if I have correctly deciphered your meaning, this problem -- unsealed duct joints hidden by drywall -- is a problem that applies to forced air systems, not ductless minisplits. It also seems as if you are suggesting that a ductless minisplit is more likely to have "air, moisture, [and] distributed flow" problems than a forced air system. I'm not sure which problems you would put into the category of an "air" problem, but perhaps you are willing to elaborate. If a house with two ductless minisplits has what you call "air, moisture, [and] distributed flow" problems, there are likely to be design errors. They certainly fall into the category of "house as a system" problems, but they are unlikely to be due to a malfuctioning minisplit. Again, I can only grasp about 85% of what you write, but I'm trying my best. I don't know what "s/b" means, for instance. I can answer one of your questions, though. Q. "I’m not sure why the same requirements for forced air would not apply to minisplit system in the EnergyStar ‘HVAC Energy Systems Quality Installation Checklist,’ e.g. : ‘The pressure difference between each bedroom and the common areas of the house (measured with the forced-air system operating and bedroom doors closed) must be measured to verify that it is no more than 3 pascals.’"
A. This one's easy. The pressure differences that the Energy Star commissioning item is trying rectify is a problem with a badly designed ducted forced-air system without a return-air path from a bedroom to the return-air plenum of the furnace. When the bedroom door is closed, the room becomes pressurized; it is this pressure difference that needs to be measured during the commissioning process. This problem is fortunately impossible with a ductless minisplit, since the return air is drawn from the same room where the conditioned air is delivered. The above s/b in Energy Star V3 for minisplits too, perhaps code, flow per room from the air changer (s), hybrid ventilation, natural or other. It really is clear to me that the same requirements are enforced as forced air based on a different set of parameters of course. From what I understand from whole house systems integration, we can move air with a ducted balanced ventilation system to compensate for this sort of bad flow commissioning from a lack of air handlers if you will. Adding air handlers is not the only solution. Further, what I am imaging is not being able to determine actual ventilation or flow rates or preliminary installations of a ventilation system prior to establishing what actual IAQ sensed or meter ppb (part per billion) data is available. IAQ test and corrective action will not be based on pre-determined or actual air flow alone as ASHRAH62.2 tries to do, nor corrected by mechanical means(HRV/ERV, merv 6+ filters) alone but PPB (part per billion) too when the build is complete. After assuring all that can be done to avoid pollutants indoor and out. So as the designer with the build/test foreseeable future in mind to the best of one’s knowledge, when I have that build test data I can make rational decisions. I would have ‘provisions’ in place (duct work, penetrations, etc.) to rectify my designs as required. At that point I have choices, tell, give my client IAQ/OAQ/Air Flow test data. Inform them that the house is safe for natural ventilation rates perhaps(?). If they bring in toxic chemicals or require better flow I have the provisions in place for them to install a HRV/ERV. I give them a completion certificate with test results. I see it this way since the builder cannot control homeowners IAQ/OAQ/variable air flow rates, this way I am off the hook. Last thing I want to do is wait to find out I have IAQ issues in the end but sometimes, some design features, that is unavoidable especially in prototyping. I have seen some that have used ASHRAE 62.2 2009 rates still not pass safe levels of ppb. Could be very costly for a builder to commission out of that one for example. The game is changing as we move away from forced air to ductless minisplits is what I am saying, and the test procedures and certification programs, including Energy Star are not capturing all the design, build, test, reliability, maintenance, issues that come with ductless, tight homes, ventilation, IAQ?OAQ. Many of them focus on old house as a system methodologies and design-build practices. For another example of what I am talking about take a close look at Energy Stars "Indoor Air Plus" program and try and determine how it removes chemical airborne toxins and guarantees a build has PPBs down to a nationally safe average or provides any sort of design criteria. how about one topic at a time. OK = Okay. Why is it critical to have pressure equalization in a force air design between rooms and not a minisplit ductless design? For the purpose of obtaining a Energy Star certification why is the forced air standard higher? If you look at both the contractor and Rater checklist there are no requirements for ductless minisplits, Air flow Sect 9, Air Balance Sect 10, how about "Ductless Installations"? Pressure differences can cause flow from one area to another, drafts, cold spots, etc, so why is it okay to have them in a ductless minisplit system? So we give points to uncomfortable miniplit integrated whole house systems to the tight envelope, make it costly and difficult for the good ol Forced Air Designs. Home performance contractors (or anyone who is commissioning a building) don't have an infinite amount of time or money to spend on testing. We only want to require tests that make sense. For example, we don't usually order lead paint tests on recently completed buildings -- only on older buildings. The reason that the Energy Star Homes program requires homes with forced air systems to test for pressure imbalances between rooms is because of a well-known problem related to forced-air systems with inadequate return-air pathways. I have just explained that the problem can't occur in a house with ductless minisplits. Requiring the commissioning agent to perform the test would be a waste of time. Of course, you can come up with a scenario where a room in a house with ductless minisplits would be significantly pressurized or depressurized with respect to the common areas -- but it would be uncommon enough that I don't see why you want to burden builders who use ductless minsiplits with a requirement to perform a test that was developed to solve problems in homes with an entirely different kind of HVAC system. "S/b = should be, btw"
And what does "btw" spell? Between? I am curious to understand how we know if ductless minisplits are performing as per spec at the unit. I have them in my own house and love them, especially for cooling, but from my understanding, these packaged units appear to be full of secrets and difficult to test. Obviously, if a ductless minisplit isn't performing as expected, one might contact the installer or manufacturer's rep, who could undoubtedly use test equipment to check components for proper functioning. However, most builders or homeowners will test a minisplit (or a refrigerator) the old-fashioned way: by plugging it in and seeing if it works. This is the same way that window-mounted air conditioners are tested. If the homeowner discovers that the ductless minisplit does not keep the room in which it is installed at the expected temperature, then there are two possibilities: either the designer made a specification error (and chose a unit that wasn't sized properly), or the unit is malfunctioning. If that problem occurs, I imagine that the first step would be to call the installer. Martin, you obviously do not text? It took me a long time to catch up to this generations abbreviations. Here are some basic ones. I just purchased a new droid max with “connect”. Now I can text phones from my email, much easier! They are popular so we don’t end up writing long books. OEM = Original Equipment Manufacturer. The best use for this is end item liability firm or “builder” “Prime Contractor” that has sub-tier(parts & assemblies) or sub-contractor suppliers, although a supplier can be and OEM if they have a supply chain. "Obviously, if a ductless minisplit isn't performing as expected, one might contact the installer or manufacturer's rep, who could undoubtedly use test equipment to check components for proper functioning". It may not be obvious to owner, contractor or installer that the minisplit is not working to spec. It may be working at 90%, 75% 50% of spec but still heat or cool the house. I am talking about the output at the unit not the performance of the house. So are you saying the installer should have the knowledge and equipment to do this testing. I'm not sure the manufacturers rep would visit the site, short of an obvious failure. Minisplit systems can result in as many or more pressure differential issues as forced air systems. The differences to outside pressures especially in windy locations can result in air barrier penetrations at the thermal enclosure envelope, damage due to higher displacements from air flow. The lower inside pressure (especially in bedrooms, doors open) can result in worse pressure differentials to the outside and addict than a forced air system. The lack of uniform pressure can further promote moisture drive. It may be more difficult to pass and commission the “Thermal Enclosure” requirements for Energy Star rated building’s. As I said, if you install a mechanical ventilation system with ducts(send/return) in every room to balance or mitigate the miniplits inherent design of poor air distribution, you may have a harder time commissioning the ducts (unless of the same CFM) and registers for proper airflow, not only from a system standpoint, but for integration to a whole house comfort and Thermal Enclosure. An ESTAR rated home has to follow ASHRAE 62.2 2010 flow rates that are flawed, there are no good requirements per “Whole Building Ventilation Design” ESTAR , HVAC, or should I say less requirements compared to force air. The only other specific requirements I can find besides Thermal Enclosure Air Barrier are +/- 15 % design volume at the evaporator and, air-source heat pump ESTAR certified. An ESTAR certification is not a reliability or mean time to failure/replacement life cycle test the OEM used so, I’ll disagree with Rosenbaum, not sure what data is referring to determine they are ‘very reliable’. As far as your comment that ductless minisplits are ‘far, far, simpler’ to commission than a forced air system…..As far as I can tell if you are after a ESTAR certification this is true. If you are after and functional integrated design that is not only comfortable but, integrates well with the thermal envelope I challenge that to specifics of the design-build commissioning results. We have seen some on this site included design minisplits to spec, to analysis, to models and are still off. That is why I challenge the complete design of them on the drawing table, rather in increments when more info (envelope, IAQ) is available. In the best circumstances, for a design and build, the commissioning is minimized in all respects and a design to cost reduction results. The initial design, say clean sheet, results in prototype testing to validate modeling or other assumptions. ESTAR has a prescriptive or performance (modeling) paths for this reason. If one took the performance path, one would find time and money well spent to take the time to test thoroughly. The info would be value added in leaning out production cost and producing a more robust design at prototype #2. At some unit # (perhaps #2) the cost of such commissions will pay for the R&D and continue to benefit profits by a leaner design-build. This is what I mean by a robust design-build process. The biggest bang for the buck is taking the commissioned results and feeding them back to the design process. Many companies do this by a ‘fault tree analysis’ and “corrective action” where the fault is determine, a corrective action could involve a design change and/or build process change. What you do not want is no design benefit from commissioning and recurring discrepancy cost, rather use the results to design out of the issues and testing. EDIT: I did not catch this prior to my last post. minisplits are exempt from Energy Star HVAC Certification testing (see contractor list note #1). If there is a ventilation system there is a short section 1 on the contractor’s check list to adhere to. You worry that a ductless minisplit "may be working at 90%, 75% 50% of spec but still heat or cool the house." That's possible, of course. But researchers and energy nerds who have checked the performance and energy use of a great many ductless minisplits have been favorably impressed. Laboratory and field testing in the Pacific Northwest revealed a surprising finding: many of these units are exceeding specs for performance and efficiency. If you choose to sprinkle your writing with abbreviations, you face the risk that readers won't have the foggiest idea what you are trying to say. Since the purpose of writing is communication, and since you tend to write long comments, I imagine that you would prefer that your writing is understood. Otherwise, why write? So my advice is -- and I understand I probably sound like your high school English teacher -- write clearly. In Comment #26, you revive your earlier argument that ductless minisplits can cause room-to-room pressure imbalances. I find your arguments unconvincing. In Comment #28, you recognize that the Energy Star Homes program does not require homes with ductless minisplits to comply with commissioning rules designed for ducted forced-air systems. (I have been trying to tell you that.) It appears from your latest comment that your recognition of this fact renders the discussion moot. Fair enough. If any readers are interested in my perspective, here it is again: a ductless minisplit pulls its return air from the same room where it delivers its supply air, so it does not contribute to room-to-room pressure imbalances the way a ducted forced air system often does. Not worrying just wondering. Its always good to know if the manufacturers specs are consistently the real specs as we advertise these specs to our clients. Does it taker a researcher and energy nerd to test these systems? Here's the link: Field Test of Ductless Heat Pumps in Residences and Small, Commercial-Use Buildings. Martin thanks for the link. That is an interesting article on lab testing of minisplits. Maybe in the future there will be a wireless feedback loop so non geeks can see the performance of mini's on our computer. This has probably been covered elsewhere but I am wondering if an erv might help mitigate the conditioning in remote rooms. Sorry if I am off topic. Q. "I am wondering if an ERV might help mitigate the conditioning in remote rooms?" Debra, that testing is not lab it is field and looks good and worth reading in depth. I been trying to catch up with you Martin on Energy Star. It just so happen I just started digging into it and Airplus to certify my new future homes when I found this blog. Lot to those checklist, I am going over one section at a time. Yes, looks like the way to go is minisplit in a tight home so far, much easier to certify, make it work. The NW test is limited, not national, but I been up there, lots of moisture so good info. So yes moot point, agree. I'll read the test results and see if they make my pressure/comfort differences moot for NW bearing in mind it may not completely apply to the windy mid-west plains and my specific geometry/conditions. I'll get back at ya. Also, I do world applicable testing on mechanical components for a living, we define manufacturing third party specs for aircraft much more complicated. Exceeding specs for cold or hot weather is not recommended. The thermal cycles will fail the unit faster. I am not referring to you Martin BY THE WAY :) Thanks for the help I appreciate it. That is why I said above you have to design the CFM to the load requirement of the rooms, it can be done that is very broad rejection. Who ever said 10 CFM @ 72F, where did that come from? John Straube's example of 10 cfm is a good estimate for the typical ventilation rate for a residential bedroom. Many small homes require only 50 cfm for the entire house. And it's hard to imagine that ventilation air from an HRV will be warmer than 72 degrees F -- except during the summer, when you don't want any extra heat in your bedroom anyway. Perhaps Martin, it seems to be a confusing area air flow and minisplits. I just read of one guy that has his 2X6 walls up with poor insulation for zone 5, no stated ACH @ 50 target, did some modeling he claims, in Denver, CO, and is asking a forum what size and where to place it, a question I see often. Seems a little late to me to be asking these questions. Some are using radiant cove supplement heaters for room loads over 800 btu/hr with motion sensors in them, some claim no need to have an air handler at less than 5000 btu/hr. I need to read the link you provided too still. Neat thing about it is I can put the results in real time online. Be nice if more builder's did this to collect good design data and share it to a national depository cloud document. That take some of the opinions and theory out of the equation(s). You wrote, "Perhaps Martin, it [?] seems to be a confusing area air flow [?] and minisplits." What is "area air flow"? We built a near passive house last year and included performance standards in our contract. Upon duct testing we found out that our ducted system didn't meet energy star. The ducts looked like they had been well sealed on physical inspection but the HVAC company neglected to test the system before the walls were closed up. All the ducts run inside conditioned space. The duct blaster testing couldn't find a specific area that was leaking. The only solution is sealing the ducts from the inside (Aeroseal) which is scheduled. I bet the builder will make sure they test the ducts before the walls go up in the next house he builds. The refrigerator is an interesting comparison. I'll agree that refrigerator testing isn't part of commissioning a new home, but a parallel process needs to be performed by the homeowner. I've tested the temperatures in quite a few refrigerators in the homes of friends and clients, and haven't found a single one that is set to the FDA temperature recommendations. My point is that even a fairly simple, self-contained device like a fridge usually needs testing and adjustment in use. It's much more difficult to test all the components of a house, but equally important. I appreciate the information in this article, Martin, for helping my understanding of this significant issue. I'm glad that you liked the article. I'll grant that it's reasonable to debate whether a refrigerator needs to be commissioned. I think it's fair to say that the type of adjustment required for refrigerators (assuming that the appliance is not defective) is usually within the skill set of the average homeowner. Not to belabor the point, but there are two issues here: (1) Does the refrigerator work? and (2) Do most homeowners pay enough attention to FDA recommendations to fine-tune their refrigerator so that the temperature of the ketchup is exactly within the range recommended by the federal government? I'm guessing that most of the problems that you discovered with your roving thermometer were not actual problems. I'm sorry to hear that your duct system isn't as tight as it should be. However, the good news is that you are adequately protected by your construction documents, which included specifications for duct leakage. Whoever prepared your construction documents did a good job. Martin, I took some time to catch up with the great articles you pointed to on NW minisplit testing. On it I see specific results to the NW region that did not address what I see as the current problems. Good info if you live in that region and I wish more were available in others. Also, “Choosing HVAC Equipment” blog, good general information that does not address the problem at hand. Your blog below I have been pondering the most and was on the same page of basically combining clean HRV with conditioned minisplit air I found the most interesting. This one needs resurfacing in my opinion. Everywhere you look now the trend and movement is to replace central forced air with single or multi point ductless minisplits. As you know, there is a risk in designing a minisplit/ventilation system as two separate systems compared to a well-known centralized forced air system with a lot of design guides and empirical data. Size and placement of the minisplit system, ventilation rates per ASHRAE 62.2 or BCS-01 or whatever is required. The combination of which can get pretty confusing. Just the ventilation debate alone has caused a lot of confusion. Also a lot of confusion exist out there on minisplit sizing and placement based on the effects of envelope air sealing, insulation levels, moisture, material properties, air flow, room temps, duct CFM, and fan CFM. There are a lot of variables here that can change drastically between climate zones and building geometry. I’m guessing typical load analysis by hand or math, or, modeling software like REScheck or REM are not going to work here, there are too many dynamics to determine how far a single source minisplit at some location can affect temperature differences in some number of rooms, whether it be a single story, basement, multi-story. WUFI or some combination of it and a loads model might be better, but complex. 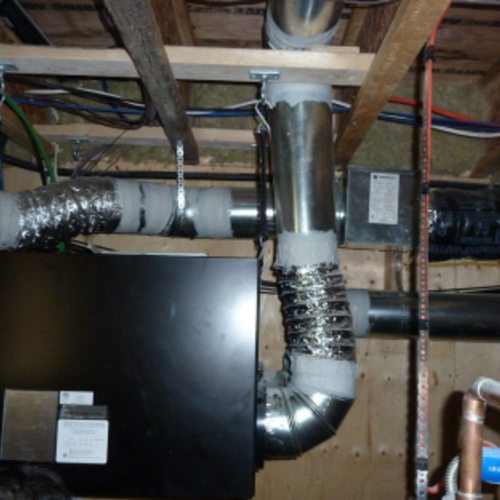 The idea of attempting to DIY integrate these system, hot/cold air handlers exhaust with HRV/ERV fresh air intake to perhaps a distribution plenum box, then to a distribution trunk line with spider branches of some diameters, to rooms may be a good way to commission comfort complaints of many clients a builder has to please. Spot exhaust the bathroom and kitchen. Problem is low CFM of the HRV and perhaps long trunk and duct branch runs and increased energy cost due to inefficient ducts. Makes one wonder if we are back to a conventional central air forced system in need of HRV. Unless I’m missing something and there are minisplit-ventilation integrated systems on the market? Or, a better way to deal with rooms that after a build have too large of a temperature difference, or, let’s just say do not meet a customer’s expectation or what a builder may have predetermined inaccurately? Perhaps you could point to a simple software program and/or calculations a builder could use accurately that has proven to predetermine by field build(s) to satisfy a design model or analysis? Last thing I want to do is guess, use the wrong design guide(s), modeling, and find out when my walls are closed I need to run additional lines, ducts, air handlers, blowers, swap out the unit for a bigger one. I'm not sure why you are trying to re-invent the wheel. A ventilation system is not the same as a heating system or a cooling system. Ductless minisplits don't introduce any outdoor air into a building and they aren't supposed to. Wise builders have usually avoided any attempt at confusing ventilation with heating and cooling. The basic principles of residential ventilation are well established and well understood; the only controversy is about ventilation rates, which are user-adjustable. For more information on designing a ventilation system, see Designing a Good Ventilation System. Martin, I wish I could take credit for ‘reinventing the wheel” but you had a better vision of diffusing the two air flow types together before I did. Not sure if you get around and read some post on other sites along this line, talk about reinventing the wheel. What a mass amount of confusion! But hey, this will not be the first time trial and error did not yield some better future design. It probably won’t be long before someone integrates the two, if I had time I’d do it, not that difficult. I refer to it as ‘field testing” based on a bunch of written unknown writings of some that really are not sure but write well. I’ll take it the answer to my question as to whether someone has validated a model or hand calculations to an actually build is no. Not sure what ‘wise builders” you are referring to? The best I found is some fudge factors that Dana showed me below. I think I made it quite clear in my last post if you change the design parameters such as material properties and configuration, dynamics, it all goes out the window, especially if dealing with dynamic mass. If at the completion you find your closed door temperature differentials are not desirable you may be into a very painful rework situation that could cost a ‘wise’ builder a lot of money. "To crudely estimate the approximate delta, assume the U-factor of a partition wall with half-inch gypsum on both sides to be about U0.4 BTU per degree-F per square foot. It'll be about U0.2 for a ceiling or floor that is fully conditioned on the other side. Say a 13' x 12' bedroom with only attic above and crawlspace below has a heat load at the full 70F interior design temp of 2750 BTU/hr, and shares 25' of 9' tall wall+ door with a fully conditioned space. One sleeping human deliver about 250BTU/ reducing the load to about 2500 BTU/R. That's 225 square feet of space, or 2500 / 225= 11 BTU per square foot of partition. At a U-factor of 0.4 for the partition that would impart a delta-T of about 11/0.4= 27.5F, not very acceptable. But if the unoccupied heat load for the room were reduced to 800 BTU/hr, the ~250BTU/hr of one sleeping human lowers that to 350 BTU/hr, or 550/225= 2 BTU per square foot on the partition wall, and 2/0.4= 5F, which in most cases WOULD be an acceptable delta at the 99% outside design condition." If you want to fine-tune it with the ventilation air assuming a jump-duct supply, air has a specific heat of about 0.018 BTU per degree-F. so if you assign a cfm number to the ventilation air that you'll be designing in, and a maximum tolerable delta-T you can come up with how much heat that delivers. For instance, say you're delivering 20cfm by design, and will accept a 5F delta. That 20 cfm is 600 cubic fee per hour, and a heating capacity good for 600cfh x 5F x 0.018 BTU/ft3-F-degree= 108 BTU/hr. You are confusing ventilation air -- that is, outdoor air that is introduced into a building to improve indoor air quality -- with air that is moved by a fan from one room to another. The latter is not ventilation air. and where to locate the Ductless Mini-Split(s). or the "choices" might "work against" comfort. You wrote, "In a house with an HRV and ductless minisplit(s), someone must choose how to size and locate the supply diffusers and exhaust grilles (including door undercuts, jump ducts or transfer grilles)." That's true, of course. It's also true for a house with a conventional forced air system. The HVAC system design is sometimes performed by the designer, sometimes by the builder, sometimes by an HVAC contractor, and sometimes by an engineer. The HVAC design can be good or bad, whether the house has a forced air system or any other type of heating and ventilation system. By the way, I think that you are overestimating the ability of the very small airflow volumes of an HRV to compensate for room-to-room temperature differences. Ventilation air flows are so low that they are unlikely to help solve the problems you hint at. For more information on this topic, see Choosing HVAC Equipment for an Energy-Efficient Home. The closing of this blog suggests that ..."smart designers are specifying HVAC systems that don't require much commissioning"
I understand that "open doors work better than HRV ducting"
"Doors Closed" is when I believe it is even more critical for the ventilation air to work in harmony with other design choices. It appears to me that you are raising two issues. The first issue is whether ductless minisplits require commissioning -- or, to put it another way, whether ductless minisplits are easier to commission than typical forced air systems with a furnace and split-system air conditioner. We can quibble for hours over whether or not a ductless minisplit needs to be commissioned. But suffice it to say that any home performance expert who understands the correct way to design and install an HVAC system knows that there are lots of things that need to be checked when installing a conventional forced air system. The required commissioning steps are discussed in my article. Anyone who has conditioned both types of systems -- a conventional forced-air system and a house with ductless minisplits -- will tell you that it is far, far, easier to commission a house with ductless minisplits. In Comment #47, you wrote, "If you want to fine-tune it [presumably, "it" means "space heating"] with the ventilation air assuming a jump-duct supply..."
A jump duct connects a room with an adjacent room, not the outdoors. So if the "supply" air you are talking about is coming via a jump duct, it can't be ventilation air -- it must be indoor air from an adjacent room. That's why I responded, "You are confusing ventilation air -- that is, outdoor air that is introduced into a building to improve indoor air quality -- with air that is moved by a fan from one room to another." If I misunderstood, please clarify. How can a jump duct supply ventilation air? Back to the definition of "Commissioning"
Martin, you wrote: Terry, You are confusing ventilation air -- that is, outdoor air that is introduced into a building to improve indoor air quality -- with air that is moved by a fan from one room to another. The latter is not ventilation air. First, let me assure you I am not confused. I have designed HVAC and Environmental Control Systems off- and –on for 30 years that are doing well in much more complex service environments. If I could figure out how to attach photo’s I’d attach one I did beginning of last year. I have seen enough to know not to waste time with the articles, models, and formulas that don’t work and prepare for reality. We use very accurate models, several, the cost for each license averages $20,000 for design, computational fluid dynamics (CFD), and finite element modeling (FEM). Anything less is a guess that is unsupported by empirical data. You wrote, John, It appears to me that you are raising two issues. It’s just one issue, not two. Look at your definition of commissioning above. There is a lot of forced air systems history, so far we have seen as many if not more problems with minispits, especially when running in conjunction with other systems such as an HRV. There is NO WAY to separate these systems unless you isolate them in two different building’s and that is regardless of CFM of each system unless they are both zero. In that regard, minispits are far, far, far, less understood and pose a bigger risk to commissioning than a forced air system. With that said, my approach will be to prepare for the unknown. A design CAD model to begin with, a commissioning plan that may require testing before the walls and ducts are enclosed. A build plan that allows a redesign as a result of preliminary testing closed door room temperatures. When test show rooms are not within “designers intent” (see “What is Commissioning” above), be prepared to add fans, ducts, to increase CFM and/or reshape ducts to boost CFM, divergent/convergent to manipulate flow rates and pressures. It is done all the time. Now we are learning similar design-build-test planning with blower door test staging, not wait until the build is complete to learn we have to take drywall back down. This is where ASHRAE 62.2 has issues since you really cannot predetermine a flow rate with such complexities and unknowns, deal with IAQ ignorant of toxin levels, heat, pressures, etc. If you can please, as I asked before, show me software that has been validated by empirical data so I can use it? If commissioning a bad design and room temps/IAQ is so easy please explain how to get back to the ‘designer’s intent’ when a builder and/or building fails? 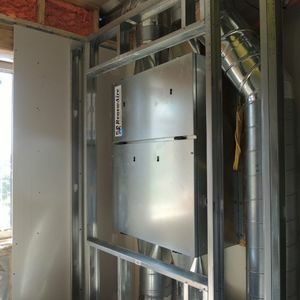 "The idea of attempting to DIY integrate these system, hot/cold air handlers exhaust with HRV/ERV fresh air intake to perhaps a distribution plenum box, then to a distribution trunk line with spider branches of some diameters, to rooms may be a good way to commission comfort complaints of many clients a builder has to please. Spot exhaust the bathroom and kitchen. Problem is low CFM of the HRV and perhaps long trunk and duct branch runs and increased energy cost due to inefficient ducts. Makes one wonder if we are back to a conventional central air forced system in need of HRV." We are installing an ERV mounted to our furnace return air duct (I know, an ERV with its own ductwork would have been preferable, but this is a retrofit, and the ducting for a stand-alone system would have been challenging). When using the existing furnace ductwork, is there a way to determine the amount of fresh air that's actually being delivered by the ERV to the conditioned part of the house? It seems like it would be simple to determine the ERV's delivery rate of fresh air into the furnace return duct, but some of that fresh air will be lost due to leaks in the ductwork before it reaches the supply registers. Another complication with quantifying this is that the fresh air is mixing with recirculated air; despite these complications, can you still use an anemometer (or some other means) to measure airflow through the registers and somehow calculate the cfm attributable to the fresh air component of the air delivery (assuming some level of duct leakage)? Measuring Airflow through a Return Side Tap.